Bravo London Ltd specialises in the design and supply of beautiful walk-in wardrobes, dressing rooms and fitted bedrooms. Our design and manufacturing techniques are aimed to define a collection of furnishing systems and furniture reflecting a strong concept of living where every home is a unique dimension in which functional needs combine with feelings, affinities and different tastes. 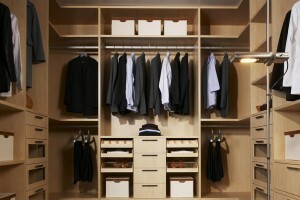 Nowadays, planning to buy a wardrobe, people are less and less likely to prefer the traditional wardrobe. They were replaced by more spacious and comfortable wardrobe closets ( walk-in wardrobes ). They are built in a corner, or placed against the wall, allowing you to maximize valuable square footage. We are not just designers, we create an art. These solutions are used as a variant of organization office wardrobe. It is much easier to arrange a roomy closet, where they can leave things at once all the office staff. With regard to home interiors, there is an idea gaining in popularity of arrangement of separate dressing rooms for the storage of clothes and linen. As a rule, it closes the doors with sliding doors, and the inside is equipped with functional storage systems. 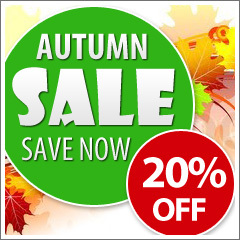 It is very easy to maintain a permanent procedure and to keep things in a neat condition. There is an opinion that dressing room is a measure of glamor and luxury, unique to the houses of very rich people. However, this is not true. Dressing rooms are a new generation of a variety of sizes and can easily fit even in the smallest room. Also, they will also save space and solve a huge number of things, bedding and other items that do not need daily. The main difference from a simple cabinet is full use of space and greater capacity. Besides dressing always successfully fit into any decor and make it more unique design notes. Walk-in wardrobe is a perfect solution for storing your favourite things. Allowing you to utilize the maximum space of your premises and organizing a unique, stylish storage. Many modern apartments in its planning contain a “dark” room, which is best used as a dressing room. Racking system made of aluminum profile offered by Bravo London Limited will allow an optimal way to organize the internal space of your dressing room. When planning the dressing room space, design solutions are unlimited. 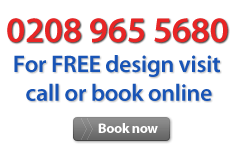 It all depends on your needs – our fitted furniture is designed and manufactured as fully made-to-measure and bespoke. You can use the open rack of shelves and drawers, closed facades framework sections, shelves for shoes, mesh baskets, hangings for coats, trousers and ties. We can offer lots of unique designs of what your heart desires, above all to your satisfaction. A walk-in-wardrobe will last you for years. 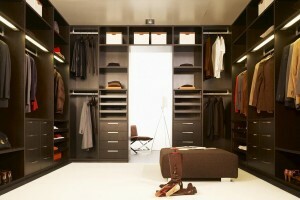 Now the choice of dressing room has become an integral part of the planning of any modern interior. Our designers have always taken great pleasure in designing and creating a new project at all stages of discussing all the details of the order with the customer, ensuring the best possible result. Most often in apartments and small areas of private homes, we set this corner dressing rooms, because they not only occupy relatively little space, but always allow the efficient use of the remaining floor space. Sometimes we carry out orders to create a whole wardrobe systems, in a special staging area of each room.